(Image shows a child like Adama being supported in our Literacy Lab). Seven-year-old Adama’s determination to learn has led her to gain reading fluency. 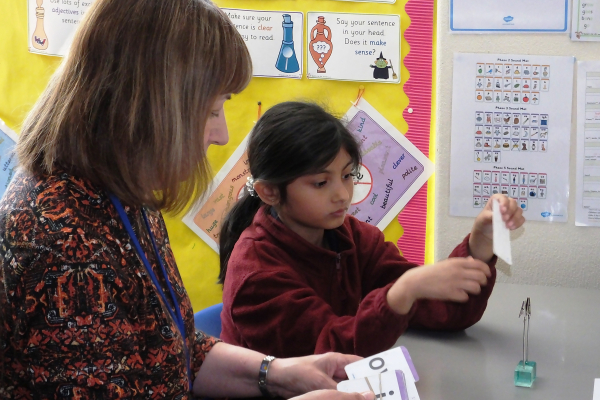 Now tutor Marie is helping her to develop her working memory, comprehension skills and all-round confidence. Marie reads a sentence describing a scene from The Snow Queen then passes the card to Adama so she can take a closer look. Straightaway, Adama hones in on the details. She counts up the number of houses (six) and the number of people (nine). She spots a dog and a white horse, describing it as a ‘snow’ horse. “What else can you see?” prompts Marie. “Snow. Snow on the houses, snow on the mountains, snow everywhere,” says Adama. When one minute is up, Marie takes back the card and asks a series of questions. Some, she has no problem with. 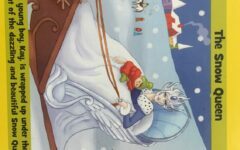 The ones she doesn’t get include two questions regarding the details Marie read out at the start – the name of the boy in the story, and the words used to describe the Snow Queen. 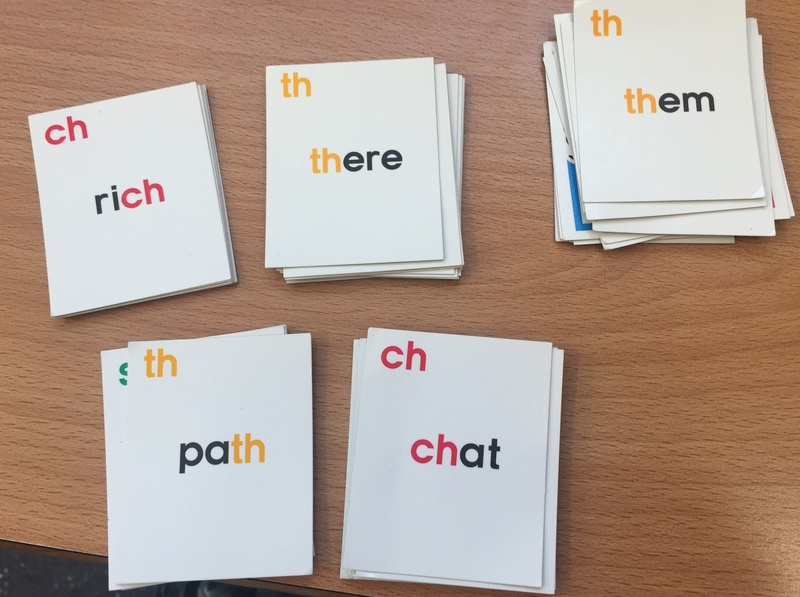 During this Literacy Lab session, the phonics-based games she plays with Marie evidences her growing confidence with reading words. What becomes clear is her general lack of confidence. For example, in a rhyme matching game, it so happens that Marie makes one more matching pair than Adama, and Adama slumps down with her head in her hands. “I’m not playing to win,” Marie says calmly. She then points to the row of pairs Adama has successfully made and says, “Well done for getting these ones.” At these words of praise, Adama quickly rallies. “I got all these right, didn’t I?” she says. Confidence is something Marie will keep working on with Adama in the coming weeks, with lots more encouragements and gentle reminders that winning isn’t always the goal. Her teacher has noted that she is one of the quieter members of the class and the hope is that in time she’ll gain the confidence to speak up in the classroom. 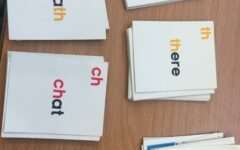 Another key area Marie is working on with Adama is comprehension. “Adama can now read well, but she finds it tricky to follow and retain the details of more complex narratives,” says Marie. 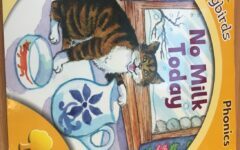 This appears to be so for the book Adama reads towards the end of the session – No Milk Today by Julia Donaldson, featuring a hungry cat. When asked, Adama struggles to recall why the farmer wants to go to the shed (to get hay), and initially asserts that the cat gets his milk, when in fact he falls asleep exhausted after chasing mice. Kamran is another child we’ve been helping through our Literacy Lab. Read Kamran’s story here. 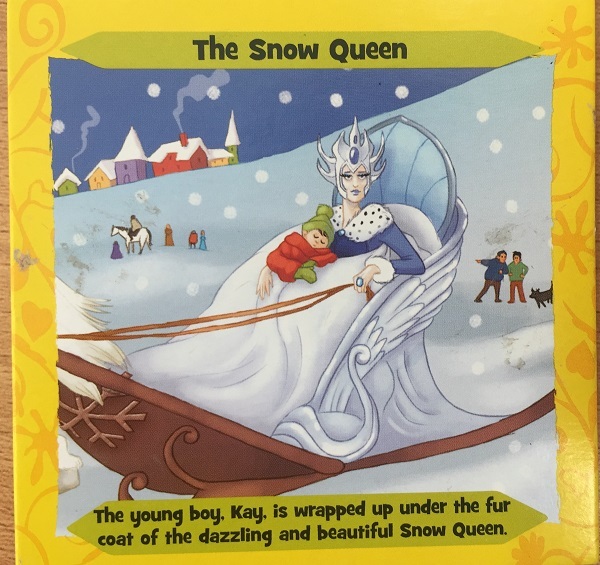 The scene from The Snow Queen. Adama is now reading words like these well. 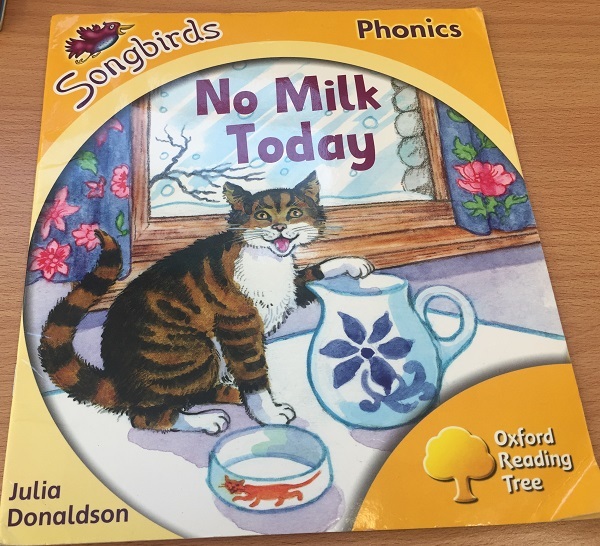 Books like this are helping her to develop her comprehension.